Repeal and replace is dead. Now what? 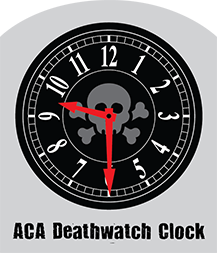 We are getting very, very close to retiring the ACA Deathwatch meme. With last night’s news that two more Republican Senators won’t support BCRA, the Republican Repeal-and-Replace bill, efforts to kill “Obamacare” are dead. Congressional Republicans have yet to make the transition from a party of opposition to a party of leadership. I predicted this back in December, doubled down in May, and repeated that prediction after the House passed the AHCA. This wasn’t some amazing insight, rather a careful reading of the bill, and an understanding that taking something very valuable, very personal, and very important from people is political suicide. This would go a loooong way to giving certainty to insurers, certainty that would lower premiums and stabilize markets. For now, my sense is Congress doesn’t want to hear smell see or taste anything healthcare-related for a long time. There will be lots of politicking from the right about “Obamacare’s death spiral” and the left on GOP’s complicity in same. The good news is this horrible bill didn’t – and won’t – pass. The bad news is worse – nothing is being done about the core problem with US healthcare – it costs way too much. Can you explain the healthcare benefits congress member receive? There have several posts on the internet and I am not sure what they are allowed. Hi KS – from WaPost – Lawmakers and staffers, except for a handful of cases, have purchased health insurance through the District’s “SHOP” exchange since 2014. They do this with an employer-based subsidy from the federal government, which some Republicans have denounced as an “exemption” for Congress under the law. Is it true that it covers 100% medical and dental for life? Keep in mind, too, that a “repeal only” bill can’t be done through reconciliation. Rather, a “repeal only” bill will require 60 Senate votes. And that’s not going to happen. what to watch is the ‘death by a thousand cuts’ as Trump/Price will attack the ACA from a regulatory perspective…in order fulfill their goal of destroying the ACA. Yes the ACA needs tending and ‘repair’, and a public option and dealing with the pharma cost crisis. Don’t expect the R’s to make any attempt to address until the approaching mid-term elections with the potential for the D’s to gain traction and (with some luck) majority.